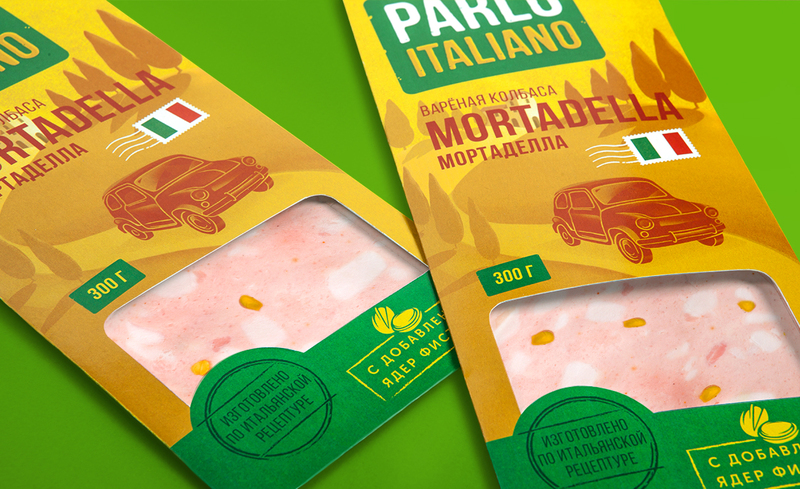 A.STUDIO agency has developed the Parlo Italiano brand. The product range includes boiled sausage and dried sausage in white rind. The production process is supervised by Italian production control managers. A typical Parlo Italiano buyer is someone who has travelled in Europe, then, after coming home to Russia, buys imported delicatessen items to reminisce about their delightful vacation. However, since 2014 almost no import deli goods, nor any reasonable domestic alternatives have been available on the Russian market. 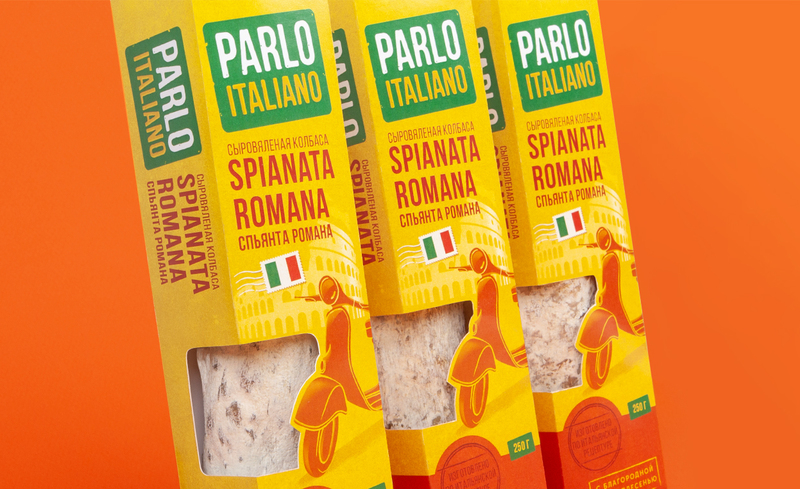 Based on buyer demand for imported sausage, the agency has developed a product positioning expressed through a “nostalgia for Italy” concept. The name of the brand means “I speak Italian”. Each item is the miniature of an Italian province. 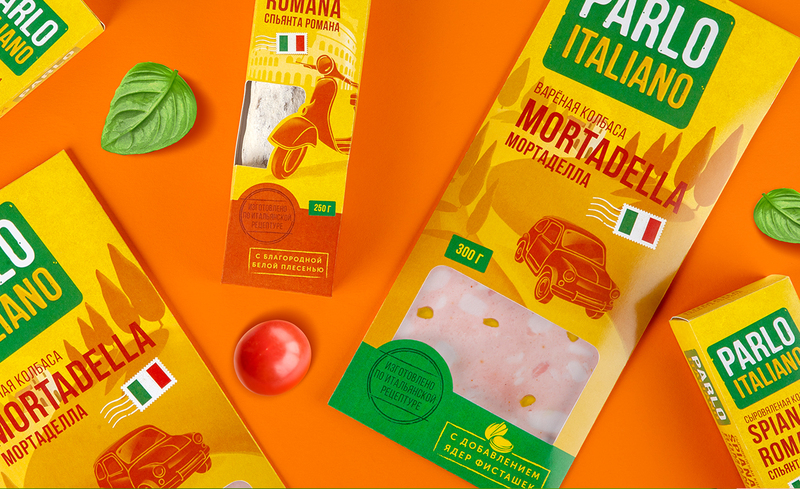 The packaging suggests buyers could visit every corner of the country, to come across familiar landscapes using typical Italian vehicles. 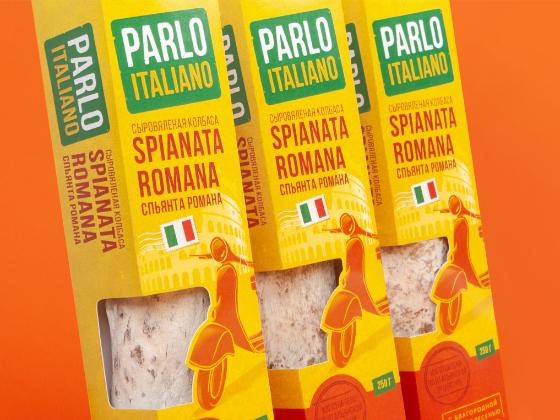 The packaging design will cast their mind back to sunny days spent in Italy - or inspire them to take a new trip.